You can add an E-shaped table by selecting Insert>E-shaped Table... . If you have PerfectTablePlan Home edition you can create an E-shaped table (and other complex table types) by composing it from basic table shapes. Typically you will use a head table plus a banquet table for each 'sprig'. If you need to add guests at the end of the banquet tables you can use custom tables instead. 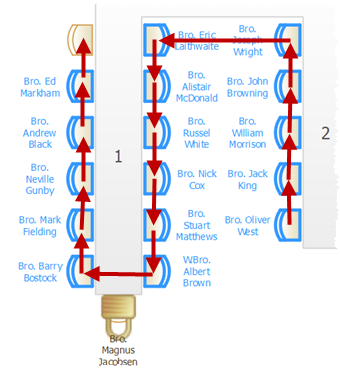 See the 'masonic_sample_Home_edition' table plan shipped with PerfectTablePlan for an example of an E-shaped table plan. 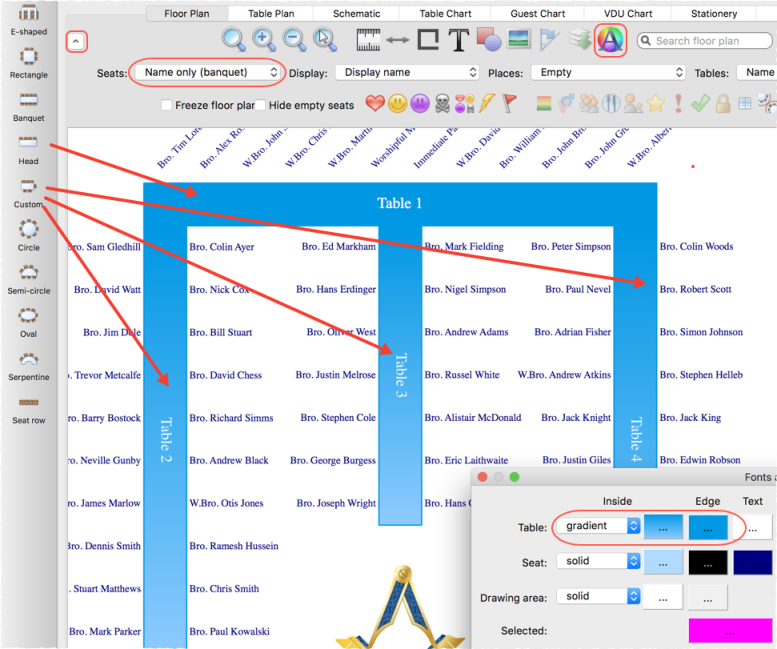 •Set the Seats drop-down list at the top of the Floor Plan pane to Name only banquet for a name layout that is easy to read and makes good use of space. 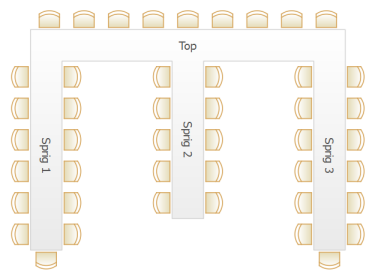 •Use the Shuffle Seats window to move blocks of seated guests around the table, e.g. after changing the table size.